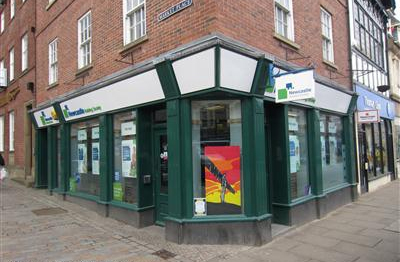 The Morpeth Branch of Newcastle Building Society to support The Stephen Carey Fund during 2015. The ardent readers amongst you may recall that we were nominees at the Newcastle Building Society Cornerstone of the Community Awards in late 2014. Sat on Table 13 perhaps some would have taken it as an sign we wouldn’t go on to pick up any awards that night but we make our own luck and made some great new friends from both within the society and at other charities.